This is a patch release to address an error with the %submission_date% e-mail placeholder, which can be used in the notification settings to include the date of the event’s submission. This a minor patch release which addresses the following: An incompatibility with the soon to be released WordPress 4.3 A missing anchor tag in the Dutch translation If you run WordPress 4.3 with Event Organiser Pro 1.10.5 or earlier, then the bookings admin a screen will not display any bookings. 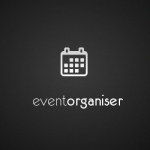 Event Organiser 2.13.6 has been released. This update addresses an incomparability with the soon to be released WordPress 4.3. When running WordPress 4.3 with Event Organiser 2.13.5 or earlier, the venue admin screen will not display any venues.